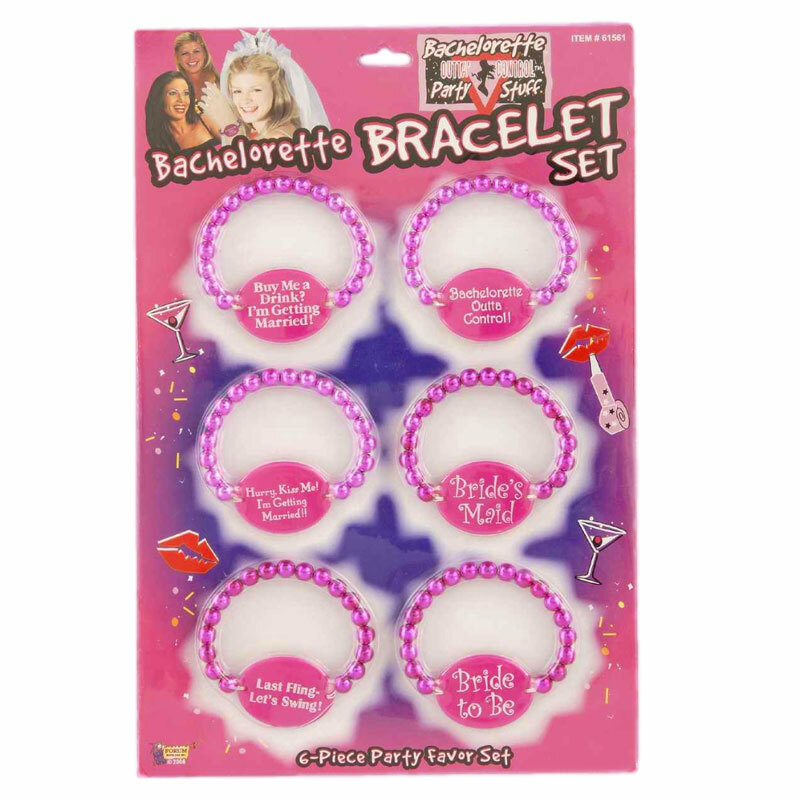 The Bachelorette Party is the ultimate celebration, get your whole crew these Bead Bracelets to make the night a blast. Each Bracelet has a little Bachelorette humor tag and is sure to get all the party stirring and everyone the rounds and rounds of shots that'll make this night "Hangover" material. Feature: - 6 different Bracelets per set.